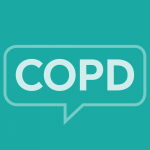 The COPD In America 2016 online survey was conducted to gather insights from over 1,200 individuals currently diagnosed as having Chronic Obstructive Pulmonary Disease, Emphysema, or Chronic Bronchitis. The primary goal of this research was to better understand the symptoms, treatment, and life impact experienced by those individuals. Upon reflection, respondents report experiencing almost 6 different COPD symptoms prior to their diagnosis.